Welcome to Solid Carpentry, London’s first choice for bespoke fitted furniture and carpentry projects. We’re delighted you found our website. 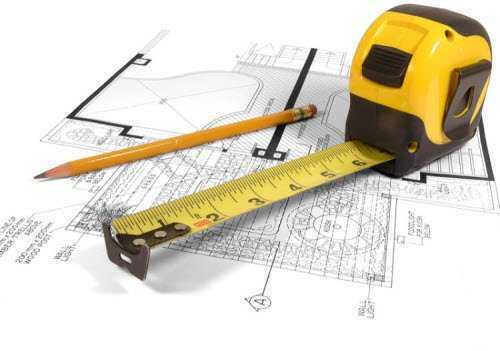 We’re here to show you the amazing results you can achieve in your home or office with made-to-measure, customised carpentry solutions tailored to your individual specification. We are a team of friendly, trustworthy craftspeople committed to transforming homes and businesses across London. You can see why we’ve gained our reputation for superior results in our Portfolio and find out more about what we do in Services. We’ve been serving home and business owners for more than 15 years. Have a project in mind? Get in touch today to find out why so many people turn to us for their carpentry and joinery needs in London. Count on our expert advice at every stage of the process to ensure your bespoke carpentry solution works for you. Benefit from an individual service tailored to your needs and achieve a truly bespoke design for your home or office. See your vision come to life as we take your idea and craft it into reality using only the finest materials. Enjoy your custom-fitted furniture for years to come thanks to our professional and personalised approach to aftercare. We don’t just turn up for the job on time and with the right tools! For us, reliability also means ensuring every task we undertake is completed with utmost care and attention. Choose us and you’re in safe hands – superior results, no hidden charges, fully insured. When you choose Solid Carpentry, you are hiring a team of trusted carpenters and joiners in London who can be depended upon to construct the best in bespoke carpentry solutions using the finest materials available. We understand how personal it is to make changes to your home or office. For that reason, we provide a service that honours your individual vision and respects the pride you have for your home or office space. From day one, our highly skilled London carpenters will work closely with you to create premium bespoke carpentry to your exact specifications. With a meticulous attention to detail and an eye for accuracy, we will transform your ideas into a final product that is precisely what you envisioned. We value our reputation for providing a professional service to all our customers, regardless of the size of project. We take great pride in not only delivering superior carpentry services and joinery solutions but also in ensuring genuine customer satisfaction. Every project we are involved in is completed within agreed timeframes; constructed to the highest standard, and our trusted carpenters, at all times, remain polite, respectful of your home, and committed to ensuring you receive the best possible service. Want proof? Just read our customer feedback! We don’t believe in cutting corners or delaying projects. We believe in saving you time and money. The Solid Carpentry philosophy is simple: quality workmanship; exceptional customer service; and durability - for all budgets. Our expertise, born out of more than 15 years’ experience, means we have established a professional carpentry and joinery service in London that meets your needs. Whether it is a custom built wardrobe or a bespoke kitchen, we will fit it with minimum hassle, attention to detail, and within a timeframe that suits you.